Defending your title is never easy, so it's to Samsung's credit that its ES8000-series TV goes straight into the No.1 slot as a replacement for its previous model, the D8000. Available (so far) in 46in, 55in and 65in versions, it's fully loaded with HD tuners and 3D support, and its smart TV features are bolstered by a Dual­ Core processor plus built-in Wi-Fi. More than all that, it thrills with both gesture and voice based control. The fact that picture quality is brilliant is almost a bonus. Very shortly, the set will be upgraded with the BBC Sport app, complete with multiple live feeds. Nice. 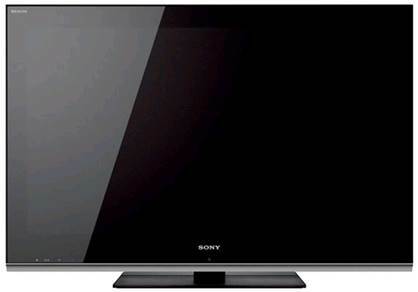 Smart to look at and thoroughly clever to live with, this brilliant new LED TV is by a long way the best of Sony's 2012 sets. Its picture is excellent, with amazing deep blacks and great motion handling, its specification is comprehensive and it's even sensibly priced. A close rival to the Sony at No.2 and if size matters to you, its larger 50in panel may help seal the deal in its favour. Exceptional picture performance and a strong spec are assets too, although the Sony's online features and styling are a shade slicker. 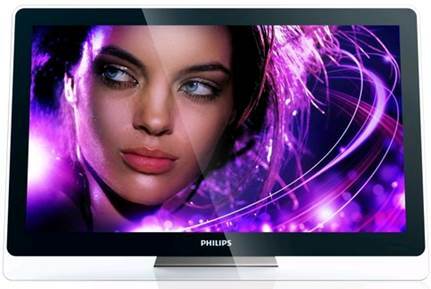 If you're all about style and want a TV to complement your living decor, look no further than Philips DesignLine range. The Apple-esque design masks a top-notch telly full of tech like Easy 3D mode and Ambilight (a tad gimmicky, but we still love it). This gorgeous 3D set sports just about every tech tool in Sony's extensive arsenal, from local dimming LED backlighting to built-in Skype. Fitted to its optional tabletop stand, which contains additional speakers, it even sounds better than most rivals. 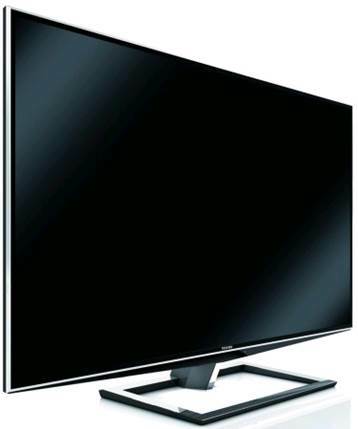 The price is a considerable obstacle, but it's hard not to be impressed by Tosh's 55-inch specs free 3D TV. Its 3840x2160 screen looks spectacular with both upscaled Blu-ray and native-res images if you can find any. 3D works... so long as you don't move. 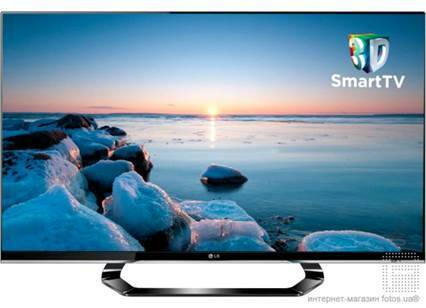 Although not the most spectacular of 2012's TV debutantes, the LG's comprehensive spec and consistent performance make it great value. Its family friendly passive 3D tech also helps, while it's recently been updated with the new Game World portal. Panasonic is best known for its plasma sets, but this LED set is worth a gander. You get fairly basic menus, but Viera Connect is excellent and the free FID digital tuner gives you stunning 3D (where available). It just lacks a smidgeon of detail and depth. The smallest smart TV on the block is also a solid performer. 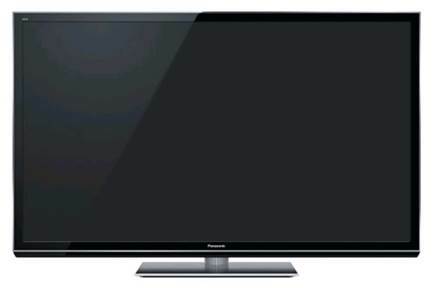 Its 26in 720p image is smooth and detailed, though dim compared to rivals such as Samsung's LE26C450. Home media streaming, web browsing and on demand TV make that a fair compromise. 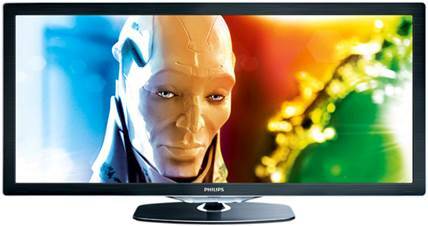 Philips has tried a 21:9 aspect TV before, but the 58PFL9955H is a far more successful attempt. With 3D, the latest versions of both Ambilight and Philips’ LED Pro backlighting, and built-in Net TV it’s the ultimate “I love movies” statement. 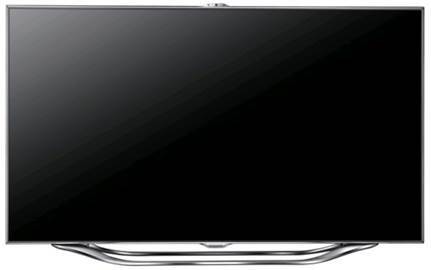 After plenty of hubbub about LG and Samsung's OLED TV announcements, Sony's made a splash of its own with the massive, rather lovely and hugely expensive KD-84X9005 (US$30,000, sony.com). Its 3840x2160 resolution is bang on-trend for top-end telly tech, though disappointingly the Sony is an edge-lit LED model rather than OLED. Still, with 84in of screen real estate to gawp at, it's doubtful you'll care, especially when gaming. 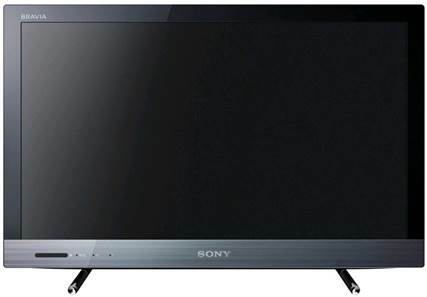 As with LG's tellies, the Sony uses passive 3D tech - yet the ultra-high res means it can still deliver 1080p 3D to each eye. It's got an all new virtual 5.1 speaker array too, with 10 built-in speakers (four of which are subs) adding up 50W of output. But you'll still want a proper home cinema to do it justice. And masses of cash, obviously. LCD is edging closer to victory simply because it's so much cheaper to implement. 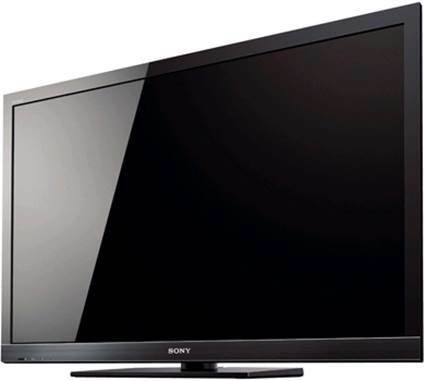 Plasma- based TVs are pricier but technically superior, though you won't find full HD ones under 40 inches. 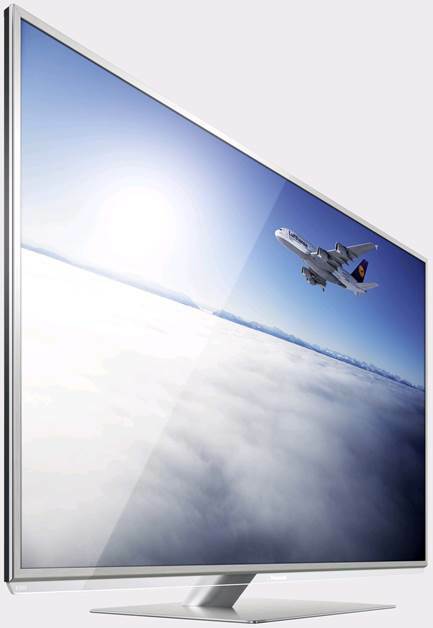 Screens described as ‘full HD' support a 1080p signal, the highest resolution video commercially available. They also come with an HDMI port, allowing you to pipe full HD content from a Blu-ray player or games console. Aim for HDMI 1.4a, which supports auto switching to 3D modes. There are two types: active shutter and passive (or polarising). Both require glasses; the former offers superior resolution. The scrabble for remote controls can be resolved with a classy universal wand and don't skimp on cables, especially analogue ones. A decent HDMI is a necessity at over 2m.